Over the past 3 years the AQUACROSS Assessment Framework was developed, tested, and applied in eight case studies across Europe to solve local biodiversity challenges. Finally, results from each Case Study were published in a 30-page Case Study report and 3-page Executive Summary report. The case study page summarises our work in Case Study 8, and makes recommendations for local policy. Biodiversity challenge: Despite designation as a Marine Protected Area, biodiversity in the Faial-Pico Channel is declining. Our aim: to collaborate with local stakeholders and policy-makers and apply the AQUACROSS Assessment Framework to understand social and ecological aspects of the Channel, and identify actions to efficiently and equitably ensure the Channel’s long-run sustainability, balancing the objectives of commercial and recreational fishers, tourism operators, and other local stakeholders. Context: The Faial-Pico Channel is a richly biodiverse Marine Protected Area (MPA), covering 240km² of North Atlantic coast and ocean in the Azores, an EU Outermost Region. Recreational and commercial fishing place pressure on local biodiversity, while swiftly growing tourism fuels local economic growth but increases competition for use of the Channel, and also drives future pressures on biodiversity. While local stakeholders all value the Channel’s biodiversity, they have different objectives and priorities. In 2016, local policymakers increased protection for some high biodiversity areas in the Channel, and have consulted with stakeholders on management. However, Channel management is complicated by multi-level and overlapping responsibilities, with policy development and implementation split across five institutions. Co-creation with local stakeholders: throughout, we collaborated with local stakeholders, including at two day-long workshops with recreational and commercial fishers, diving operators, NGOs, scientists, and local policy representatives. Results: We identified and evaluated a plan of five local policy solutions: (1) increased scientific monitoring, (2) increased stakeholder participation through a Stakeholder Advisory Group, (3) integrating and coordinating management of the Channel, (4) clearly communicating and enforcing fishing and biodiversity regulations, and (5) sharing costs through a sustainability tax or diving fee. We found that, as well as protecting biodiversity, this plan supports the sustainability of the Faial-Pico Channel – increasing stakeholder engagement, knowledge, and policy coordination enables adaptive management, reduces conflict, and can improve effectiveness and efficiency. Lessons learned for managing biodiversity: Stakeholder engagement and participation support effective and equitable management of Marine Protected Areas. Stakeholders can clearly identify challenges and priorities, co-create innovative solutions, provide low-cost knowledge and expertise, and support ongoing monitoring, enforcement, and evaluation. 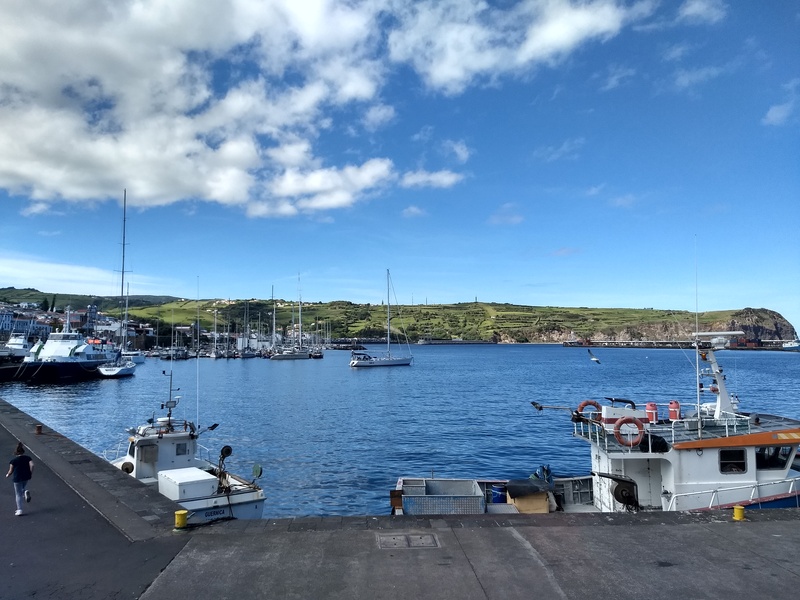 Applicability: The Azores Regional Directorate for Marine Affairs may use AQUACROSS work to support establishment of Management Plans for Marine Protected Areas (including the Faial-Pico Channel) and Marine Spatial Planning in the Macaronesian region.